Freebie For Your New Kindle & Kindle Fire! 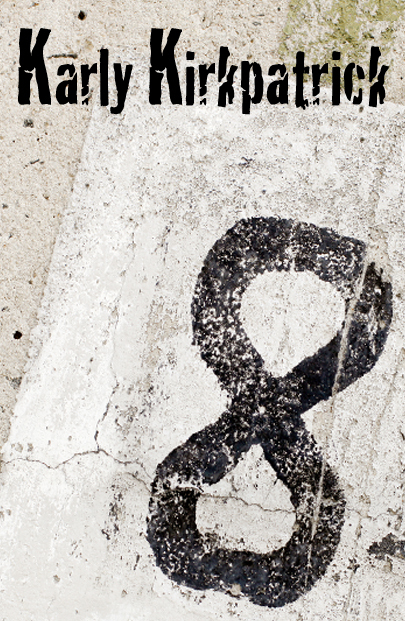 Today through Wednesday, December 28th, pick up EIGHT for free to help load up your new Kindles or Kindle Fires! It's available at Amazon.com and is also available in the UK, France, Germany, Italy, & Spain. Follow the links below and pick up your copies! 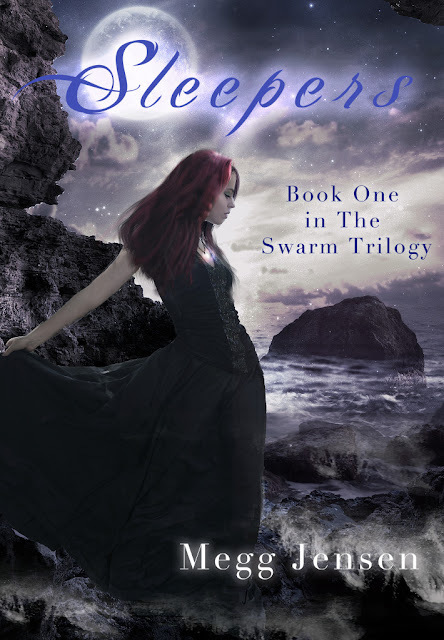 I am, of course, biased, as Megg Jensen is one of my besties and a co-founder of DarkSide Publishing, but I loved SLEEPERS and if you haven't picked up a copy yet, now is your chance! And it's also sporting a super-fancy new cover! Check it out! It's soooooooo purty! Introducing the new artwork for Megg Jensen’s bestselling novel SLEEPERS! To celebrate the re-launch of SLEEPERS in January of 2012, Megg is giving it a new cover with artwork from the incredible PhatPuppy. EIGHT is 99 Cents For The Holidays!!! Please welcome Rachel from Rachel's Book Reviews (http://www.rachelsbookreviews.com/). She's going to share some hot fall reads with you! Be sure to check out her blog! I’m going to spend this whole post raving about my favorite fall reads ☺. That’s how I roll. It’s about a girl named Cammie. She’s the coroner’s assistant…and she solves lots of creepy mysteries (thus the name…)I’m not going to go into all of these (you can read my review for that *hint, hint, wink, wink*) but it will literally give you CHILLS. Creepy. I hear the author is thinking about writing more, I hope she does. Whatever you do don’t read these in the dark. I did. It adds to the atmosphere…. It’s the prequel to Mary Shelley’s ‘Frankenstein’ how cool is that? You get to experience Dr. Victor Frankenstein’s teen adventure…and learn the truth behind his madness. It was an amazing story. You’ll never regret reading it. I’m going to go more into this one, because the giveaway is related to it. The last thing Will Besting wanted to do, was be stuck on a bus with six other teenagers. They all had one thing in common: fear. They were all sent by Dr. Stevens to do the impossible, cure their fears. Dr Stevens had said she knew a man who could cure their fears. As they are told to go into the forest, Will follows his instincts. He runs. He observes what goes on in this ‘therapy camp’, Dark Eden, from afar and knows one thing. Things aren’t what they seem. They aren’t going after their fears, their fears are going after them. As Will listens, one question haunts his mind. Can they cure their fears, or is fear the cure? This book is astounding. Patrick Carman’s ‘'Skeleton Creek'’ is amazing, but I feel that this book is his best. Ever (although, I haven’t read all his books yet.) It blew the hinges off my door of expectations (no joke.) After months of anticipation, I looked at the book before me and wondered if maybe my expectations were too high. If you read one book this year, this should be it. Will grabbed my attention and more importantly, my emotions. As Will tells his tale you become mesmerized in something so.......…relatable and at the same time, otherworldy. As he laughs you laugh and as his heart breaks, yours breaks too. That was just so…...masterful. Perfect. Not to mention, this book had more twists in it than a stick of licorice. I cannot wait for the next installment. For all you who want to know the ‘'negatives’': two cuss words. It didn't bother me. For all you tech/new wave people out there, the story is also told in app form. It adds to the creep factor…I half hide while watching them…..
To enter, leave your email address in the comments below. I love books, or shall I say I love stories. I used to read three books a day when I was a kid. I love the stories, the danger, the exciting places I can go in a book. But what of the paper, the sound, the smell of a book? What is going to happen to books with the digital revolution? I ask this with a smile and a heavy heart. I know where it is going and part of me is sad and the other part if excited. The sad part is because I like a book, I grew up reading them, and they are going away. Paper and ink are giving away to the eBook. Are we really losing them? No, it is just changing. The excited part sees the cool ways we can now read stories. How we can have links, and video and cram 3000 books in a small device. How I can listen to an audio book on the same reader I can read a novel on. It all comes down to content. A story is a story no matter how it is consumed. I love story, so give me my story. I don’t care how it comes to me, in a sound over the radio or on a eReader or in a paper form. With eBooks, I as an author can reach so many more people so much faster. I can build a fan base and make a living as an author where even five years ago would be a crazy thought. I do not have to go to a book signing or travel across the country to sell books. I can do it all from my laptop. Through Social media like Twitter and Facebook. What does this mean for a bookstore? They will shrink, and turn into small specialty shops. The first editions, the signed copies, and the cream of the crop. The really good books, the classics will be in bookstores. The price will go up and most of the new books will be published only as eBooks or print on demand publishing houses. Think of how many trees we will save. Think of the books that are pulped every year. If the average reader knew how many books are burned or thrown away each year it would start a riot. Think of the cost savings. eBooks are forever, do not get old or tear, do not yellow or get lost. Is this good or the end of books? Who knows, all I know if no matter what the real story will never die. Short story aficionado Alain Gomez shares with you some information on different types of literature now available to e-book readers. Be sure to check out her blog, http://shortstorysymposium.blogspot.com/ for more information on her short stories! E-books have definitely changed what is available to me as a reader. I find myself going to physical bookstores less and less. Consequently, I'm no longer stuck just immediately gravitating to the tiny little section of shelves that usually contains something I might like to read. Amazon has changed that for me. I admit, I'm totally addicted to the "customers also bought bar." The only time I ever even use their "search" feature is when I know exactly which title I'm looking for. While I think most people who have e-readers will recount similar changes to their reading tastes, I think something people are less aware of are the changes in what type of things are available in e-book format. A "book" does not necessarily mean "novel." A novel is a type of literary genre. There are certain style elements in them and they usually have to be at least 40,000 words in length. It might surprise you to know that not every e-book you purchase is a novel. Many of the e-books published today are closer to what is termed "novella." Like the novel, the novella is also a literary genre. Generally, a novella reads a lot like a simplistic novel due to the fact that it is shorter in length (17,000 - 40,000 words). A lot of people like this length because it's a fast read. Which leads us to the "short story." The short story is, yet again, another literary genre. But the word length on this particular category (1,000 - 8,000) completely changes what kind of experience you should expect to get. Yes, it is an "e-book." But that doesn't mean it's an "e-novel." The short story has different goals. It's not written with the intent of being the first chapter of a book. It's not written to try and rip the reader off. It's designed to unfold an entire experience with as few words as possible. As a reader, it's very important to be aware of what you're getting yourself into. Make a concerted effort to figure out what kind of story the author is trying to tell before you buy an e-book. Otherwise it's like watching a half hour TV show expecting it to be a full-length movie. The TV show may not have been bad, but you're bound to be disappointed due to the expectations you had going in. With e-books we kind of lost the whole "seeing how thick the book is" element to shopping. So take a few extra seconds to see what the summary says about the book. Author Robert Collins is here to give you his take on author visits. Robert is well-experienced in hitting the trails, he's got 3 author events this October alone! Robert has an expansive list of books available, including fiction, non-fiction, and short stories. He most recently released a YA short novel titled True Friends (available at Amazon, Barnes & Noble, Smashwords, & Goodreads). Also be sure to check out his website at robertcollins.blogspot.com. I've been doing events to promote my books for close to 20 years now. Over that time some of the things I do have changed as I've gone into areas of nonfiction and fiction. Some things have worked for me and others haven't. Take book signings, for instance. This is the traditional way to promote a book. But if the venue doesn't do much promotion, or schedules you at an odd time, you end up sitting around for a couple hours doing nothing. Right now I'm being picky about signings. I want to do them in stores that welcome independent authors. I want to try to make them special. I'm also steering clear of chain stores. Another typical event is the book talk. These I like for my nonfiction. I talk about my subject with people who care about it like I do. Libraries and museums are good venues for nonfiction talks. I used to do talks in front of clubs and organizations. I had to stop because I wasn't reaching readers. That's important in deciding to do any event. I've noticed some authors going in together on a signing or a book talk. I haven't done this myself, but I attended a museum event where 40 people came to meet 4 authors. What's key is finding authors who write in genres similar to yours. With some genres this is easy; with others, well, be picky. For years I had a table at train shows, and recently I've started buying space at dealer rooms at sci-fi conventions. Special events like these offer you the chance to meet plenty of readers, and to get a decent number of books sold. Don't worry about whether you pay for your space or not. Look at these events as investments in promotion, with any sales as an extra benefit. If there's one piece of advice I can offer about these events, it's this: stay until closing or just before closing. One, you never know when that last sale will happen. Two, your display will usually take much less effort to put up and take down than the other vendors. Waiting for them to start tearing down is a nice thing to do. Before booking any events, ask yourself why you want to go anywhere. What are you promoting? What's out there? Why go there? If you can find authors with experience at those venues, talk to them. A little planning is the best insurance against wasting your time. Call For Guest Posts - Writers, Readers, Bloggers! Writers - write about your publishing path (traditional OR epublished), or your writing process, thoughts on author events, conferences, critique groups. Readers/Bloggers - write about genres (what do you like, what would you like to see more of? ), pet peeves about being on the reading-end of the biz, or whatever you think would fit. And since it's October and nearly time for Halloween, anything with a spooky twist would be cool and can be contributed by readers or writers...tell us about your fave scary stories, books, movies, or even your local myths and urban legends. And really anything else related to reading or writing would apply. I'm happy to entertain all ideas, so run them by me. I'd love to see some entertaining and thought provoking posts that will bring readers and writers together. If you're interested in contributing, send me an email at karlykirkpatrick (at) gmail.com and put BLOG in the subject area. Now that I've got a cover to show you (thanks to the very talented G. P. Ching) I'm excited to announce my first short story collection, EIGHT, which I plan to put out very very soon. This is a collection of 8 shorts (hence, the title) that have appeared as part of Friday Flash when I participated in that last year and also a new, previously unreleased short story, Grenades. Along with each story, you get a set of author's notes explaining how I created that particular story. It's suitable for ages 14 and up, and most of the stories are YA in nature, although there is one action adventure with an adult main character. It runs about 8000 words (around 40-some pages) and will be available for the great price of 99 cents. 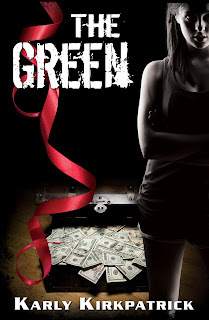 Not to worry, I'm still working on more novels, The Green is in the editing phase and Darkness Rising is in progress, hopefully coming out in the first quarter of 2012. As soon as EIGHT is available, I will post it here! Stay tuned! Someone suggested in the last post I wrote that maybe I could come up with some suggestions on ways to help maximize your writing time. It's funny, because after the last few weeks I've had, where I've really only found time to write about 500-800 words a week, I don't feel super qualified to write this, but maybe there is something in here that you may not of thought of. Hopefully it will help you (and maybe even me) balance writing with your life. First, it's important to set your priorities. And that may not be writing. For me that's my daughter/family and work. Those are things that are necessary,especially in the case of work as it pays for the roof over my head. In the case of my daughter, because I'm already gone at work 8-9 hours a day, I don't want to take any more time away from her. Then there is my Spanish class. It's important that I learn Spanish for myself and for my job, so that has to come next. This used to be the writing area. And so now, writing comes last. But that doesn't mean I don't ever do it. Second, set realistic goals. Some authors say they won't get up from their computers until they get 1,000 words down a day. That's great. That's also assuming you have an hour a day to purely write. My suggestion is that you look how long you're aiming your piece to be. 50,000 words? 75,000 words? Set your goal first. For me, I usually shoot for 50,000 because I write YA. I usually go over that, but it gives me something to use as a guideline. Then think realistically. Can you do 5,000 words? In a week? That's much more doable. You could have a really good Saturday and knock out 3K in one sitting. Then spread the other two out over the week. At 5K a week, you've hit your target word count in 10 weeks. 2 1/2 months. Not bad at all. Less time? Spread it out even more. But then at least you have progress. If it takes you 6 months to write a book that's okay. Look at George R.R. Martin. That dude took years. And I also don't believe you have to write every day to reach your goals. And there are ways to carve out that time. Are you a morning person or maybe don't start work until 9 AM (I fall into neither of those categories), try getting up a half an hour early to get some words down. Have a free lunch hour? Maybe you can get in 300-500 words. Put the kids to bed? Maybe you've got another hour before you have to get ready for bed. That's usually what I look for. If your child is involved in multiple activities, take a laptop or even a notebook with you and jot down ideas or even write if you can. The biggest problem is distractions. When you do write, don't answer the phone, don't answer the door, and DON'T have the internet open. Dedicate your time, whether it's 10 minutes to wrap up that chapter or a full hour to really lay down some quality words. Another culprit....TV and/or video games. I always thought about how much more time people would have to pursue their interests if they cut back on TV or video games. I have 2 shows that I watch every week and dedictate 1 hour to each of those shows (Vampire Diaries & the Amazing Race). Everything else I DVR and watch when I have time. So needless to say, they tend to pile up, but then when I do sit down to watch TV, I have plenty to pick from. And for me, as it will be for you after writing a book, there is a lot of other work to do. Being that my writing time is limited, I focus on a different project that I can do in small pieces without feeling like I'm getting nowhere. Right now, I have some short stories open on my computer and I'm working on editing them and getting them ready for a release. I can do it in bite-size pieces and make some decent progress with only 10-15 minutes of work. I've made a personal goal to perhaps to release that this month. That keeps me moving forward. Third...understand your limitations. I love to write. It's my favorite thing to do. But it doesn't (yet) pay my mortgage. In my current situation, I'm making healthy money off of something I love. So if I can't write for a few days or even a week, I try (though it's hard) not to beat myself up about it. It will get done. I have the drive and desire and when I find the time, even if it's takes awhile, I'll reach my goals. Someday, if writing takes over as my offical full time job, it will receive the 8 hours a day of dedication that it deserves, but even then...it's not possible (in my mind) to write 8 hours a day straight. I would bet my other hours would be made up of administration/social media/advertising/etc. I'd love to hear your suggestions as well. How do you make time to write? Anybody have the weirdest place they've written? Mine aren't so strange...I've written while in the waiting room at the doctor's office and in the bathroom while giving my kid a bath. Read an Interview With Vicky Hernandez & Giveaway! Check out Christy's Love of Books blog! She's managed to score an awesome interview with our very own Vicky Hernandez, of Bloody Little Secrets. Get to know her a little better and if you're lucky, you might even win a free copy! Is it possible to to borrow Hermione's Time Turner? If someone could please make me one I'd be forever grateful! For those of you who don't know what my day job is, I'm a high school teacher. That means I'm up at 5 AM and if I'm lucky at school by 7 AM, which usually means 7:10 or so. School lasts from 7:30-2:45. I usually make it home (due to lovely construction and after picking up my daughter) at 4. Then it's time to change, figure out dinner (I don't cook), clean up from dinner, bathe kidlet and get her to bed. Where oh where do I fit in writing? Did I forget to mention I'm also taking an online Spanish class and my husband is in law school three nights a week? One night this week I wrote after my daughter went to bed, from 8-9-ish and then had to stop to get ready for bed. Yeah, I'm old, I need to try and be in bed before 10:30 because 5 AM comes so early. But I've come up with a new plan, because writing one night a week and squeezing in a little time at lunch just isn't cutting it. I'm going to attempt tomorrow, Saturday, to escape to my Harry Potter room for two hours and do some writing. I have to. 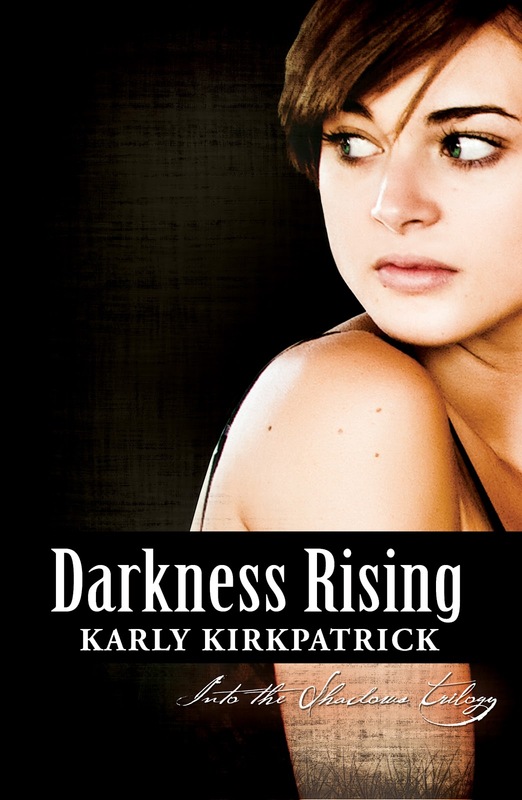 I really want to get Darkness Rising finished and if I don't really find or make time, it will take forever. Not good. If that doesn't work, next Saturday I'll make a break for Panera or Caribou, or maybe even my mom's house. It's clear that during the week it will be super difficult to write this year. I'll just have to be more creative with my time. But, it still goes to show it can be done. So don't fret if you have a busy schedule. If you want to write that book, you will find or make that time. And the good news is, I'm about 20% in to Darkness Rising. If I can make enough time for a small goal, maybe 5,000 words a week, I may be able to finish the first draft in 8 weeks, sometime in November, and still be on target for my Winter 2012 release. I'll also probably put out The Green around that time or right after and then get to work on the Into the Shadows Trilogy finale, maybe coming sometime later in 2012. In the meantime, if someone could just get me that Time Turner, I could get everything done just a bit quicker!!! You can choose from either Into the Shadows or Bloody Little Secrets, depending on if you're in the mood for magic or vampires! In addition to the ebooks, I'll also be giving away 2 signed paperback copies of Into the Shadows to two lucky readers (US only). Entering is easy. Simply leave your contact information in the comments below. I'd also love if you'd follow me on Twitter or check me out on Facebook, or follow the blog, but it's not required! I'd also love it if you added my books on your Goodreads page! I'll select and notify the winners on September 8th or 9th. Don't forget to check out the other blogs in the Back to the Books Giveaway Hop and also check out other great fabulous YA reads at DarkSide Publishing. Paivi Anderson escaped the horrors of President Stevens and his Anti-Terrorism Coalition, yet visions of home continue to haunt her day and night. Thanks to President Stevens, even the Canadians want the EOS refugees out and Paivi is on the run once again. She is determined to uncover the truth about President Stevens and his list. Most of all, she wants to save her parents from the hellish camp they've been imprisoned in. She'll risk her life on an international quest to save the ones she loves. Stay tuned for updates on Darkness Rising! Forgive me if I've been a little absent the last week or so. I've been enjoying my last days of sleeping in and getting things done before school starts on Monday. For those of you that don't know, I teach German (and sometimes French) at a high school in the Chicago suburbs. I'm feeling a little like Phineas and Ferb and trying to cram in as many things as I can before the summer ends. As always, I feel like I could have done more this summer, but in all reality, I did accomplish quite a lot even if it doesn't feel like it. I read 6 books for fun. I wrote about 8500 words for the second book in the Into the Shadows Trilogy. Organized a new set of book covers for the Into the Shadows Trilogy. Had my first paid speaking gig with Megg Jensen. I had the best Harry Potter birthday EVER, complete with a new Gryffindor hoodie. I got into Pottermore (still waiting for the final owl). I had major surgery on my foot, which is slowly getting back to normal. I spent a lot of time with my husband and daughter, as well as family and friends, which was great. I was sad we didn't get to travel anywhere, due to the foot, but I was able to use my time off to plan two vacations for the next year...The Wizarding World of Harry Potter and Disney on Halloween weekend and Italy next June. I also decided that I would like to add Spanish teacher to my job description, so I am practicing Spanish daily. So what does my life look like after Monday? Busy as usual, but I seem to work well under those conditions. My husband heads back to law school on Monday as well, and my Spanish classes (I'm taking two) start up. Even though I thought I'd get more time to spend on writing related things this summer, I've also found a 4-year-old demands way more attention than I anticipated, and I'm looking forward to having my quiet lunch hour every day at school where I can work undisturbed. Once that's squared away, I will have out all the books I have that are already written and I'll turn my focus to completing the Into the Shadows Trilogy. I would like to have the second book ready for you sometime this winter. I had thought I would get a draft done over summer and have it out this fall, but again, the 4-year-old. So I'll be excited when I can really focus on the book and get back to writing. I hope to finish out the trilogy sometime in 2012. I feel like I have a really good start on it, which will help when I can pick it up again. 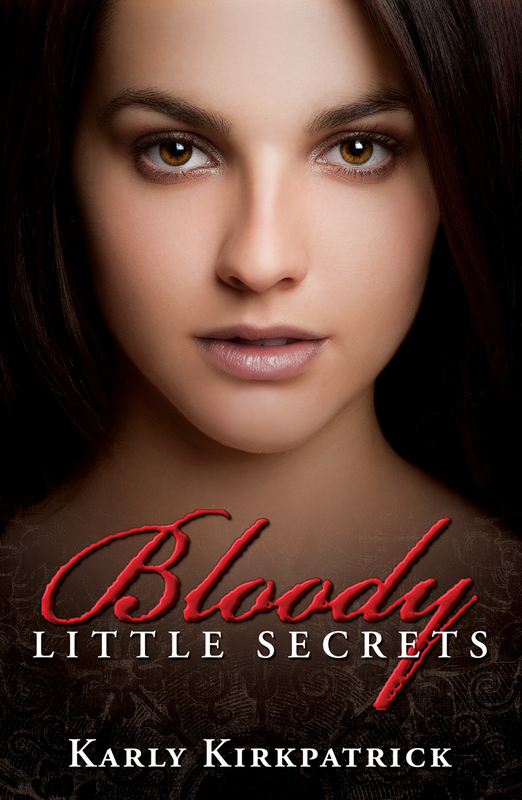 I know readers were interested in a possible sequel for Bloody Little Secrets. It's definitely not out of the picture, but I feel I need to complete the ITS trilogy first. So hold tight. I'm hoping there will be some exciting thing coming for BLS in the future. I hope you all had a great summer! I'm always sorry when it ends, but fall is my favorite time of year and this year I feel like I have a ton to look forward to! Free Ebooks For You? Yes Indeedy! I'm always looking for a way to thank my readers. So I've decided that it's a good weekend for a giveaway. Always wanted a copy of Into the Shadows or Bloody Little Secrets for your Nook, Kindle, iPad, whatever and never gotten around to picking up a copy? Get one now, free of charge, direct from the author. How do you go about getting your free copy? Feel free to leave your email address, ereader type (Nook, Kindle) or file preference....epub, PDF, etc.) and preference for Into the Shadows OR Bloody Little Secrets in the comments or email me directly at karlykirkpatrick@gmail.com. Everybody gets a free copy, so pass it on to all your friends as well. I may give away one copy, I may give away 100, or even a 1000. Either way sounds great to me! You have from right now until Sunday, August 7 11:59 PM to request your free copy. 1 copy per lovely reader please! Also, don't forget to check out DarkSide Publishing and all the great ebooks we have available! We have new titles releasing all the time! I love Book Bloggers. They're great folks and do a lot for readers, leading them to some great books. To make requesting a review copy of my books easier, I've created a separate page for Book Bloggers to contact me. Click below or on the tab at the top of the page, fill out the form and I'll get back to you as soon as I can! This month has been a bit of an emotional one. After more than a decade of Harry Potter, it's all come to an end, (on my birthday, July 15th, no less). Over. I have to admit, never in my life have I felt like I've ate, drank, and breathed something as I have Harry Potter. Every book, every movie, was a moment. For most of the books even, I can remember where I bought them. The first couple were from Barnes & Noble. I bought a lot of them at Target (they NEVER had lines on release days!) and I remember going to Target the morning after my wedding in 2005 to get Harry Potter and the Half-Blood Prince with my husband and BFF from Germany before going to my after-wedding brunch. I remember my husband reading it on the balcony of our vacation apartment, overlooking the Mediterranean in Nice, France on our honeymoon. I remember hustling down to Hugendubel bookstore on the Marienplatz in Munich in 2003 to pick up the UK copies of Harry Potter and the Order of the Phoenix for myself and same German BFF and then heading back to her apartment where I read the whole book in a day. I've collected copies in German, Spanish, and French so far, and hope to collect some more. I saw all of the movies in the theater, my husband went with me to all of them, and always went on the day they came out, but never at midnight, because I get sleepy! I have all the films (except for HP 7 Parts 1 & 2) in German and show them to my German students every year. They are bilingual in Harry Potter vocab, which I think is pretty awesome. I also have a growing Harry Potter poster and Lego collection which has now taken over a room in my house, aptly dubbed the Harry Potter room. It's where my 'office' is now. Her voice, her style, her British-ness. Awesome. Reading the rest of the books, I was drawn into a world that I loved, somewhere I wished was real. And loved characters like members of the family. When the books ended in 2007, I was a bit lost, unsure of what to read next. It was then that I decided to start writing. I will never be J.K. Rowling, there is only one throne, and she's earned it. But I must thank her for inspiring me so much. If it wasn't for her and Harry, I wouldn't be writing this blog right now, I wouldn't have written the books I have, I wouldn't have all my friends at DarkSide Publishing, and I wouldn't be sharing this future with you. Whatever the future brings me for Harry Potter, whether it's Pottermore, or having the ebooks on my Kindle for easy reading, or maybe (one can dream) more books related to the Potter world, as well as a visit to the Wizarding World of Harry Potter in Orlando, I'm excited for it. My daughter, who is now 4, has seen all the movies, but I look forward to the day she pulls my well-worn hardcovers of the Harry Potter series off the shelf and begins to read them herself. I love it when I hear her playing with other kids and saying "I'm Hermione!" So for her, it's just the beginning. 100 years from now, readers and film fans will continue to enjoy Harry Potter, just like I enjoyed greats like The Wizard of Oz. And hopefully they'll understand why we loved it so much. I'm super excited to reveal the new cover for Into the Shadows, which you can see here on the left. While I thought the original cover was great, Carl Graves does wonderful work, when I thought about the covers for the rest of the series, I wanted something a little different. Obviously, I really needed all the covers to match, that was important. And I really have a thing for people on the cover. I am a sucker for pretty people, what can I say. My idea here was I wanted to give my main character, Paivi Anderson, a face. The challenge was (*spoiler alert*) her hair changes color and style by the conclusion of book one and I really needed to reflect that in the covers on the other books in the trilogy. Luckily I was able to find this stunning model, quite by accident, who had a variety of hair colors and styles. It totally saved me! And my cover designer, Robin Ludwig, did a fantastic job bringing the essence of Paivi to life. I love that she kept a similar title banner as well, it sort of blend a little of the original book cover with the new one. As for the Into the Shadows Trilogy, we're moving forward. I'm working on the sequel, which I'm hoping for a late Fall 2011 release. Look for a title and cover reveal in the coming weeks. And the final episode of the trilogy should hopefully be available in Winter or Spring of 2012. I, for some reason, decided to count the amount of t-shirts in my closet last night and guess how many t-shirts I happen to own? 75. SEVENTY-FIVE T-SHIRTS. This only counts casual and cozy wear (casual means I can wear them with jeans, cozy with sweats). This does not count t-shirts for my job (add another 10) and t-shirts only for sleeping or working out, and a box of t-shirts from high school that are 'saved' from my old basketball days. I love t-shirts. I'm probably every fashion designer's nightmare. I like fashionable things as well, but jeans and a t-shirt are probably by far my favorite thing to wear. Again, not necessarily the type of mature clothing an adult would wear. I would struggle if I had to wear a suit to work every day. So if you ever feel like sending me a present, you're completely safe with a Hard Rock Cafe or college t-shirt! hehehehe How about you? Anything you have way too much of? Do you cook? I don't often (that's the lovely husband's job because he loves it), but when I do take on some large-scale cooking, I find that by the time the product comes out of the oven I no longer want to eat it. Or even taste it. It doesn't mean what I made isn't good, I don't know, it's like I'm over it already! I finished revisions for The Green the other day and while I'm pretty sure the characters and story are pretty solid and I really think readers will enjoy it, I really was glad to see it sent off to my beta readers at DarkSide. I couldn't read it any more! The Green has been in revisions forever I feel like, but I think I finally got it where it needs to be. We'll see what the ladies say! I will now take a break from reading my own writing and read some for the other girls in the group. I can't wait! I'll also dive back into writing, which I've been enjoying as well and had to stop for a few days to finish my revisions. I know in the end it will be worth all the labor! I was very excited for this summer - I figured I'd have a ton of time to work on new things and wrap up The Green for publishing. I never figured the foot surgery would wipe out so much time and energy. Good news there is I'm finally walking without crutches, now just need to get back to walking normal! In any case, I've got some great things started and near finished at this point, so hopefully, something new for you to read in the next month. Here's a little breakdown of the writing work I've got on my plate, all of which I'd like to have done before school starts on August 20somethingth. 1. 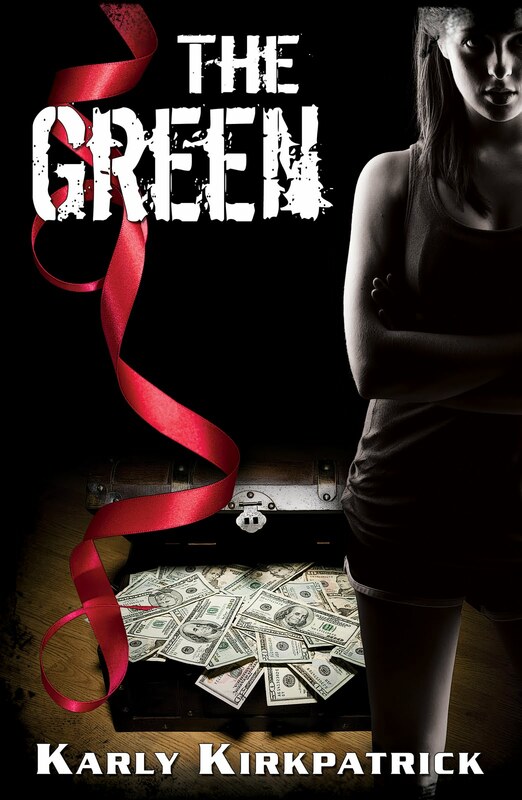 The Green - My new YA contemporary romance about a drug-dealing cheerleader. My hope is to get my revisions done (I feel like it's had a hundred) this weekend so my lovely DarkSide beta readers can hack it up and get it back. Then it needs corrections, a round of proofing by my English hawk-eye Adrian, and another round of corrections. Then formatting and boom. You've got a new book. :D Again, hoping that will be out to you sometime in August for sure. 2. Sequel - Into the Shadows - I started the sequel for ITS during the start of Camp Nanowrimo. My hope was to get the rough draft done by end of July and 'win' Camp Nano, but there is some other DarkSide work that needs to get finished first. The story is cooperating though, so once my other work is finished, I hope to jump back into this and get it written for you. I'm shooting for a Fall 2011 release if I can get a draft done by the time school starts. 3. Into the Shadows Trilogy book covers - being that I now have the second book coming alive for ITS, I need some great book covers to pull the series together. Carl Graves did a great job first time around (and I'll keep his cover for the paperbacks), but I've pulled some great pics for my other designer, Robin Ludwig, to work with. I know she'll come up with something fantastic. We should hopefully have the 3 new covers to release (and the new titles, of course) by end of July. 4. Beta Reading/Proofing - in the meantime, I'll also be beta reading and proofreading some great novels from Megg Jensen and G.P. Ching from DarkSide Publishing. We've got some great things coming in the next few months. Be sure to stay tuned! Summer of Harry Potter: Not Gonna Make It! I can't believe it, I'm actually going to fail. I'm not going to complete my own Harry Potter-reading-all-the-books challenge. I did make it halfway through Prisoner of Azkaban. My plan now is to jump ahead and read Deathly Hallows one last time before next Friday. Really, time just got away from me. The foot surgery slowed down all aspects of my life, even reading, because I wasn't feeling up to much but sleeping. But not to worry, the Harry Potter movie marathon will commence next week. Hopefully we'll be able to pick up our tix for the movie this week. And in Harry Potter Room news, I got 2 new HP lego sets (Quidditch and the Forbidden Forest). I'm contemplating getting more of the sets...my birthday is coming up ON Harry Potter day itself, July 15th, so it's for sure the perfect birthday gift. Now I'll need to get a shelf to display them on so they don't clutter up my brand new writing desk. I also have an HP6 movie poster ready for framing, just have to get around to it and get it hung up. How far did you get in your HP book quest? Anyone finish? Thinking they'll finish? David likes Lisa, Lisa likes Colton, Colton likes David. But what if David secretly likes Colton, too? How will they ever solve this love triangle? Rae Hachton is the nom de plume for Desirae Hennington. Maybe, Maybe Not was written during four days during Spring Break of 2008 when she was nineteen. This is her debut novel. Reychel thought she was finally free. She was wrong. She’s thrust in the midst of a brewing war and the only uniting factor for her people is their belief in the Prophet. Will Reychel learn to control her gift or will she be forced to deliver a false prophecy that could lead her people into a violent war? Purchase Info: $3.49 in ebook! For April Sullivan-LaMonica, the last ten years have been hell: her husband and young son were killed in a car accident, and soon after, her mom descended into the darkness of Alzheimer's. So when broadcast journalist Maggie Prescott shows up claiming to be April's half sister and tries to capture their reunion on film, April outwardly regards Maggie with much suspicion. In reality, she's simply afraid to grow close to someone again, only to have that person leave--or worse. Maggie, meanwhile, is battling her own demons: figuring out why her biological mother gave her up, facing a secret she's kept from the one man she's loved all her life, and giving herself permission to follow the dream she's had since she was a child. Separated by nearly two decades and radically different life paths, April and Maggie must decide if pursuing their sisterhood is worth it…or even possible. 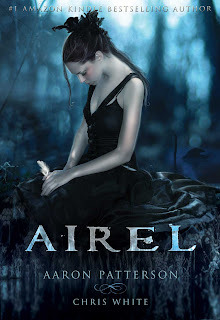 A story of loss, love, survival, and redemption, Forgotten April will speak to anyone who's experienced the pains--and riches--of an unexpected friendship that emerges from family ties. 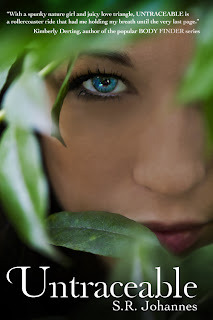 Author Info: Robyn Bradley is a Novelist Ninja and Short Story Seductress. She has an MFA in Creative Writing from Lesley University and won a short story award in 2007. Her work has appeared in FictionWeekly.com, Metal Scratches, The Breakwater Review, Writer's Digest, and The MetroWest Daily News, among other places. When she's not writing or sleeping, Robyn enjoys watching Law & Order marathons, drinking margaritas, and determining how many degrees really separate her from George Clooney. Hidden is a paranormal romance that spans the centuries from modern London to 19th century Paris and ancient Cappadocia. Eighteen-year-old Alexandre lives in 19th century Paris. On an archaeological expedition, he discovers a lost underground city where his life changes forever. Shalini Boland lives in Dorset, England with her husband and two noisy boys. Before children, she was signed to Universal Music as a singer songwriter and spent her days and nights writing, recording, touring and performing. Now, writing novels has hijacked her life and she is usually to be found with a laptop welded to her fingers and the house in a permanent state of neglect. 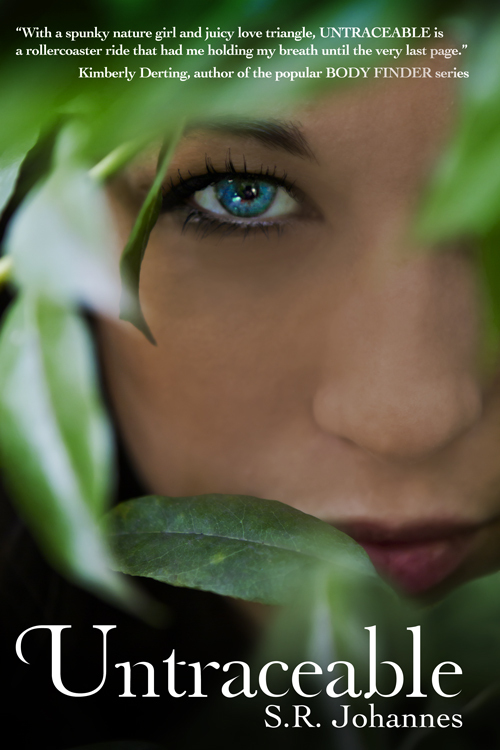 'Hidden' the first book in the Marchwood Vampire series, was published in March 2011. 'Outside', a post-apocalyptic road-trip romance will be published in July 2011. 'Thicker Than Blood', the 2nd book in the Marchwood Vampires Series will be out later this year. Rourk finds himself drawn to Keegan's side every time she thinks his name. He wants to talk to her but remains in the shadows, silently guarding her every time she mentally beckons him. A twist of fate thrusts the two of them together when Rourk is forced to step up his protection and make his presence known. An ancient prophecy deeply entwines Keegan's family and the future of their society. Somehow they must find a way to thwart fate and win the battle...without losing Keegan. With war brewing, and dark forces aligning, will Keegan and Rourk ever have the life together that they both desire? Author Info: Julia Crane is the author of the Coexist: Keegan's Chronicles. She has a bachelors degree in criminal justice. Julia has believed in magical creatures since the day her grandmother first told her an Irish tale. Growing up her mother greatly encouraged reading and using your imagination. Although she's spent most of her life on the US east coast, she currently lives in Dubai with her husband and three children. I know I've sort of been out of the loop for awhile. I had foot surgery last week and it's really wiped like a week off the calendar for me. I finally got rid of the painkillers, and while the foot is still extra-ouchy, I'm mentally back in action and can focus on things for more than 5 minutes. It's great! Things have been kind of crazy lately in the publishing world. The Queen herself, J.K. Rowling, announced last week that she will be retailing the Harry Potter ebooks on her very own site, Pottermore.com. Smart girl, keeping those erights! Now while I don't think my sales will jump through the roof just because Jo is epublishing her own books, it's nice to know she's joining us, as it were. It's great to see traditionally pubbed authors play both fields, because I really think it's to their advantage. Also, some lit agencies, like Dystel & Goderich, are taking on epublishing by becoming epublishers themselves. Maybe not the best for us indies that are already doing everything ourselves, but gives the trad pubbed authors more options and more royalties than they might get otherwise. I'll be interested to see how that new idea continues to develop. As for me and DarkSide, we're moving along. A few of the girls are in edits with upcoming releases now, so look for some great new books coming before summer is over. I'm currently reading Loramendi's Story for Angela Carlie, and I gotta say, I think you Twi-hards out there will likey...it's steamy! After I finish Angela's story, it'll be back to The Green to finish my revisions before sending it out to my fellow DarkSiders for reading. And then, I'll get back to writing. On deck...sequel to Into the Shadows. I could use some help with a title for that one. It's just not coming to me. Hopefully I can also give some sneak-peeks at it as well as I write it. Maybe I'll throw out some samples of The Green as well after the girls have a look. Anyway, glad to be back in action. I've missed you! The twin brothers Emyr and Idrys are cursed to live as hounds; Emyr by night, and Idrys by day. The twins believe they will be trapped this way forever until they meet the fierce and curious Áine, a changeling woman born with fey blood and gifts struggling to fit into a suspicious human world. Áine unravels the fate of Emyr and his twin as all three of them fall in love. To free her lovers from the curse, she embarks on a journey to the realm of the fey where she confronts her own unique gifts and heritage. Ultimately, she must decide where her heart truly lies and what she’s willing to risk to get what she desires most. Annie Bellet is a full-time speculative fiction writer. She holds a BA in English and a BA in Medieval Studies and thus can speak a smattering of useful languages such as Anglo-Saxon and Medieval Welsh. Her short fiction has appeared in magazines such as AlienSkin, Contrary, and Daily Science Fiction. Author Info: Laura Lond is an internationally published author of several novels and a collection of short stories. She has a Bachelor of Arts degree in history. Having worked for 2 years at a literary museum, Laura entered the world of business, working for large international corporations like Xerox Ltd. After moving from Europe to the United States, she has been self-employed as a freelancer. Zeke Jackson's sister has gone missing in the jungles of Southeast Asia. 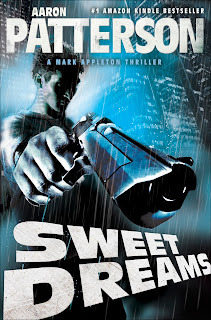 His search for her takes him from the red light districts of Vietnam to the mean streets of New York. Finally he finds the help he needs in the back alleys of one of South Africa's most notorious shanty towns. The DreamWeaver. But the things Zeke will have to do, and the price he'll have to pay to get Jane back are beyond anything he ever expected. 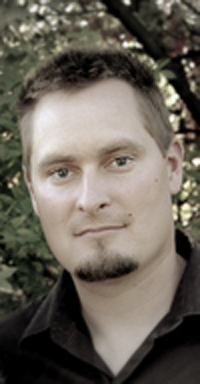 Rejean Giguere; Rejean Giguere is an avid outdoorsman, adventurer, photographer and artist. He enjoys fishing, hockey, golf, tennis, skiing and snowmobiling, his V-Max motorcycle and vintage Corvette. He grew up in Canada and Europe, and enjoyed a business career in Toronto and Ottawa. Visit his website at www.rejeangiguere.com.